July 13, 1999, L Crabo & J Troubridge..
Hypoprepia miniata is a small (FW length 13–15 mm) bright red and black moth. The forewing is carmine red with three longitudinal black stripes. The hindwing is slightly paler red with a broad black marginal band. The head, thorax and abdomen are similar to the adjacent fore and hindwings while the antennae are black. 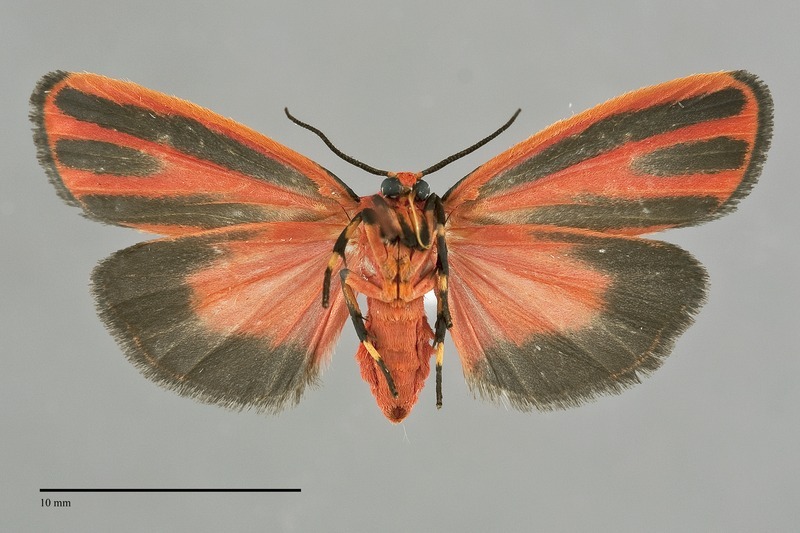 H. miniata cannot be confused with any other moth in our region. Larva has sparse long hairs, is black mottled with yellow, and is illustrated by Powell & Opler (2009). This species is widely distributed across North America in moist forest habitats, but enters the Pacific Northwest only in the northern Rocky Mountain region. The distribution of H. miniata forms a band extending southeast from central British Columbia, traversing northern Idaho and adjacent northeastern Washington. It also occurs further north in the Peace River District of British Columbia. 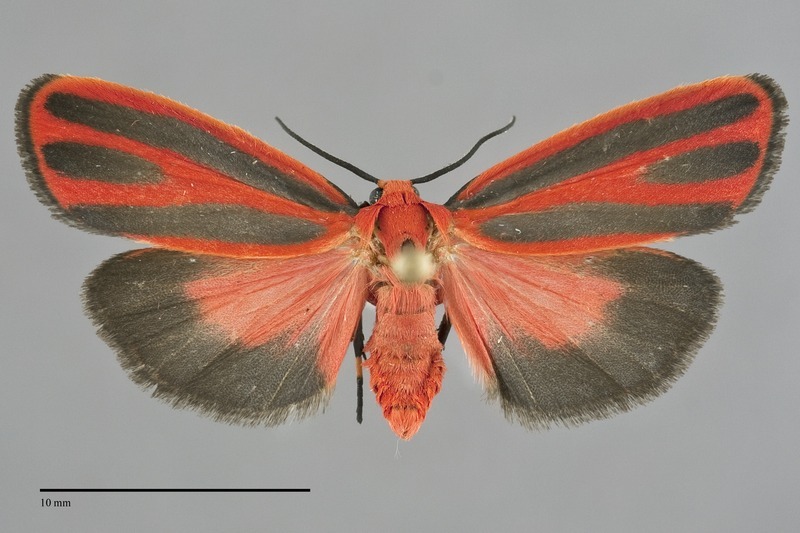 This moth is widely distributed in North America east of the Rocky Mountains. This species feeds on tree lichens. Adults have been collected in late summer and early fall. They are nocturnal and come to light.